Wozney, L., Venkatesh, V. & Abrami, P. (2006). Implementing Computer Technologies: Teachers' Perceptions and Practices. 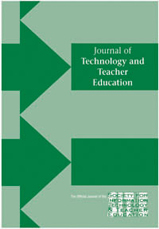 Journal of Technology and Teacher Education, 14 (1), 173-207. Chesapeake, VA: Society for Information Technology & Teacher Education. Retrieved April 22, 2019 from https://www.learntechlib.org/primary/p/5437/.